I started the title with let's because in this post, we are the ones who will make the best things happen in our lives and there's one institution who will support us and make everything possible. What are the things that you wish to achieve five or ten years from now? Set aside the material things, think of the most important things- your dreams and aspirations for your family. 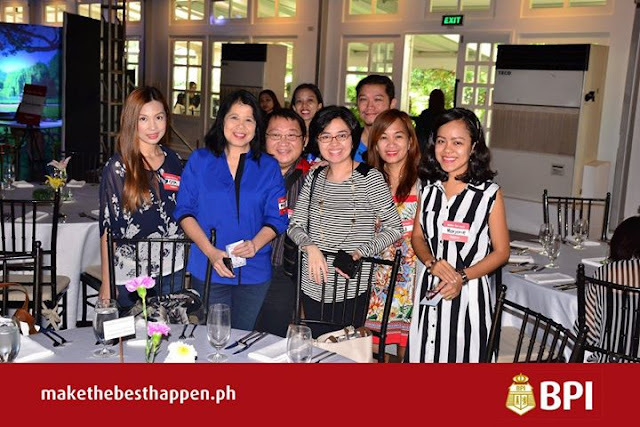 I was invited to the launch of BPI's Make the Best Happen microsite last October 27 at the Enderun Tent, Enderun Colleges where we participated in Make the Best Happen activity. It was an afternoon of fun, games, dining, raffle draws and instant prizes. After participating in each booths, I've realized that I really need to start planning for the future of my son. Early planning is the key to a secured future that's why BPI is here to make the planning easy and attainable. See more highlights of the event below and read how BPI can make anything we'd love to happen, happen! 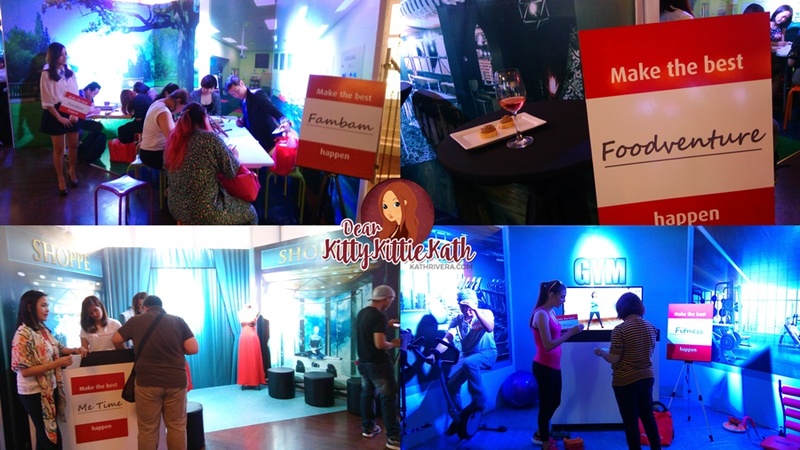 During the event, we enjoyed some canapés and wine at the dining booth, played tourists at the travel booth, engaged in pseudo-retail therapy at the shopping booth, exercised a little bit at the health booth and did some art at the parenting booth. These activities highlighted some of the areas where most individuals have goals. After doing the activities in each booth, we earned prizes in every stop. These booths gave us an idea on what life goal we can pursue. We were welcomed by Ma. 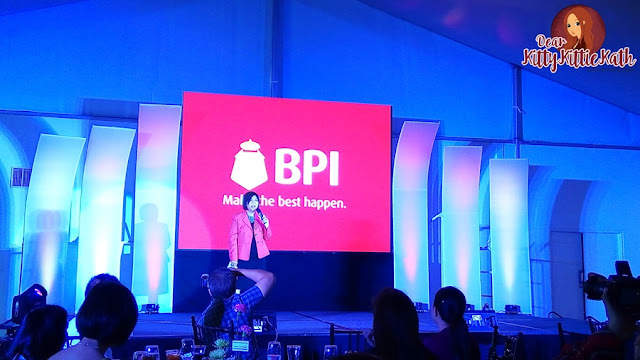 Corazon S. Remo, BPI Senior Vice President and Head of Strategic and Corporate Planning Division and gave a brief background of BPI and what they've offered in the past years to their loyal clients and depositors. 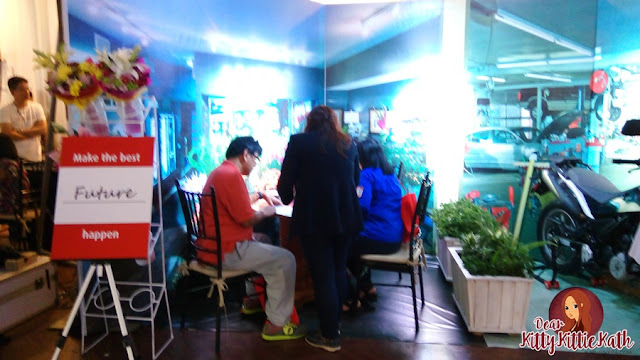 The last booth that I entered during the event- the future booth really gave me a lot of thinking and realizations. I sat down with BPI's investment counselors and shared with them my aspirations. She asked me three important aspirations five or ten years from now. I've chosen the educational fund for my son. The counselor asked me the basics regarding my plan for Kenzo's education. She listened to my needs and noted all the concerns that I have. We discussed the ways on how to achieve my goals, identified the barriers, and came up with a feasibility of the education fund. Honestly speaking, while discussing the educational fund whereabouts like the expenses, etc. I cringed in my seat. At the back of my mind, I have doubts and worried because tuition fee for college students in the next ten years will be very expensive and it's no joke for a stay-at-home mom like me to earn those numbers. My husband's salary is enough to sustain our every day needs and if there's an extra, we buy something that we want. Now that BPI gave me a glimpse of what my son needs in the future, the extra income that my husband earns now will go to Kenzo's educational funds. I'm very thankful that BPI made me realized this as early as possible. It's time to make the best future for Kenzo happen with BPI. We strive to know and understand the individual circumstances and financial needs of our clients, then offer financial advice. Only then do we propose certain solutions that are suitable and customized for each and every client. BPI empowers Filipinos to make the best of their life happen by providing innovative and accessible financial solutions. We’re here to make anything you’d love to happen, happen whether it’s for leisure, education, or broadening one’s horizons. Lastly, Tricia Quiambao, Head of BPI’s Strategic Brand Management, said with BPI’s Make the Best Happen campaign, people come first. “We put a premium on understanding our clients and their needs, and as people become more and more aware of the world around them and the many possibilities and opportunities it offers, BPI enables them to accomplish those goals and aspirations better, faster and more efficiently,” she explained. Thank you so much, Nana for having us! Thank you so much BPI for having me and for making this microsite- makethebesthappen.ph, happen! After browsing the site, I've learned simple tips from the guides that can be seen on the site. It's very useful in planning the best (insert) aspect here to happen! There's a lot actually and we cannot make them all happen in one sitting. With the chosen institution and right planning, we can make the things we really love to happen, happen even if it's five or ten years from now. So what are you waiting for, visit the microsite and be inspired. Plan and make the best happen with BPI! 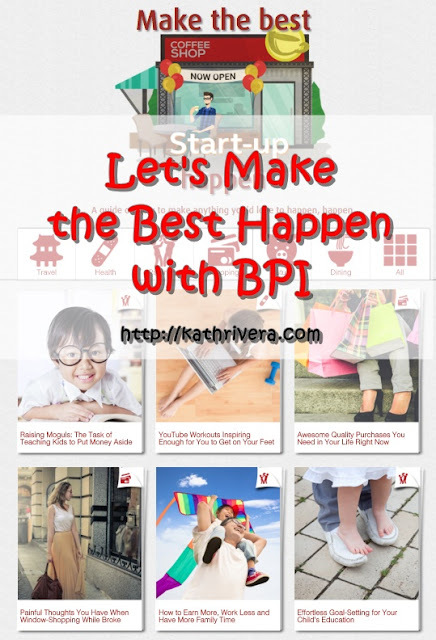 Make the Best Happen with BPI, visit www.makethebesthappen.ph now!